The Good Old Days are returning to Dudley! 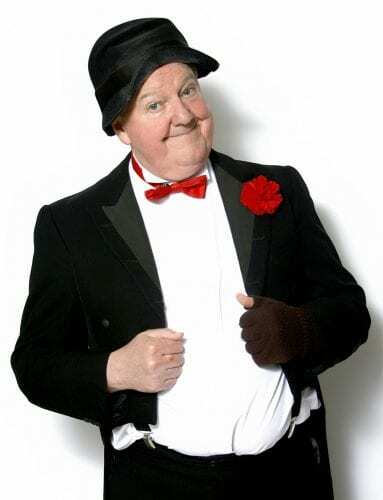 Jimmy Cricket will be helping to bring the good old days back to Dudley in the West Midlands next year. The popular Northern Irish entertainer is going to be performing at Dudley Town Hall. Billed The Good Old Days of Variety, the show takes place on Tuesday 12 March (2pm). 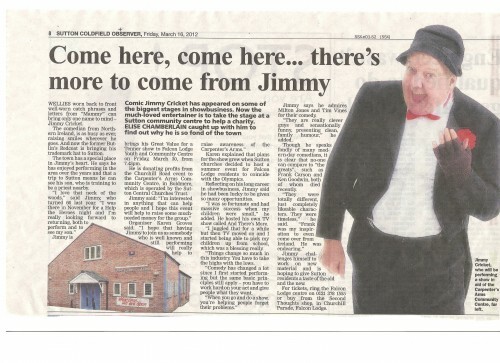 Jimmy Cricket is to appear in a charity show in a town which has a special place in his heart. 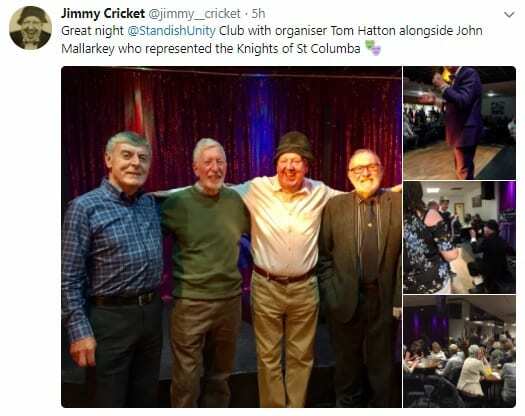 The famous Irish comedian is performing at the Falcon Lodge Youth and Community Centre in Sutton Coldfield, Birmingham, West Midlands, on Friday 30 March. It means Jimmy will also be able to see his youngest son, Frankie, who is training to be a Roman Catholic priest at nearby Oscott College. The profits from the show will go to the Carpenter’s Arms Community Centre which is operated by the Sutton Central Churches Trust. For tickets to the show, ring the Falcon Lodge centre on 0121 378 1555.